We started to receive more and more questions whether the products installed on your friend's aircraft are our aircraft navigation/strobe lights or not. On the market there are many similiar products, so we decided to be different and mark our aircraft LED lights using the technology of laser engraving. 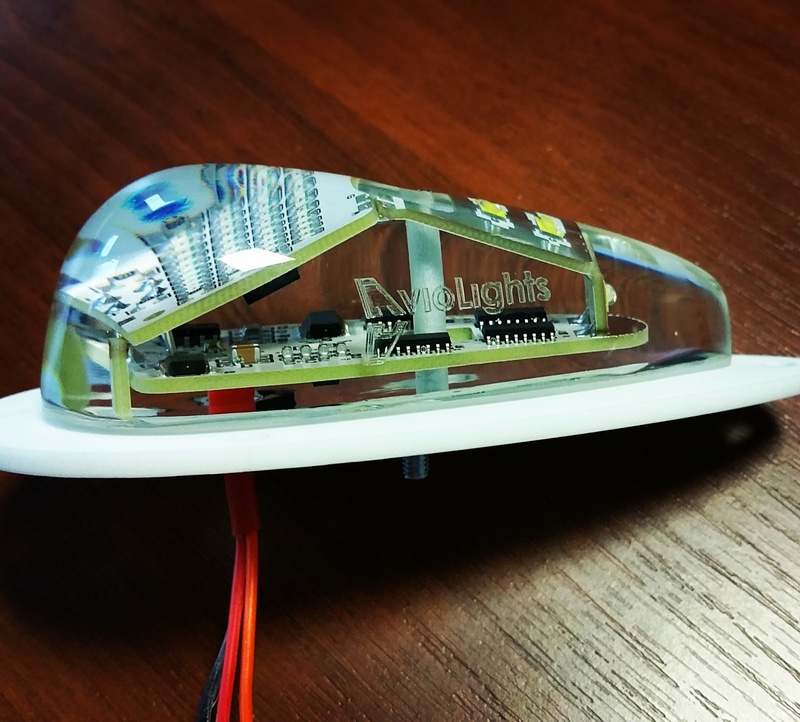 Now, each of our light will have AvioLights logo placed on its housing. We also know that each of you want to have your aircraft special and individual. The laser engraving technology allows us to put your callsign, name or logo of your aircraft. If you are interested in lights customization, please feel free to contact us (info@aviolights.com) for more details.